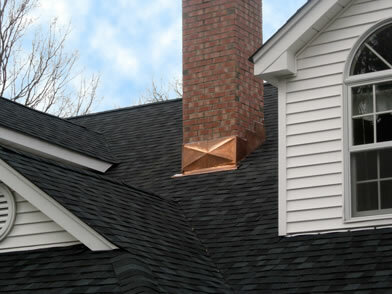 Copper flashing is a roofing material that acts as an extra layer of protection from leaks between roofing tiles and the rafters. 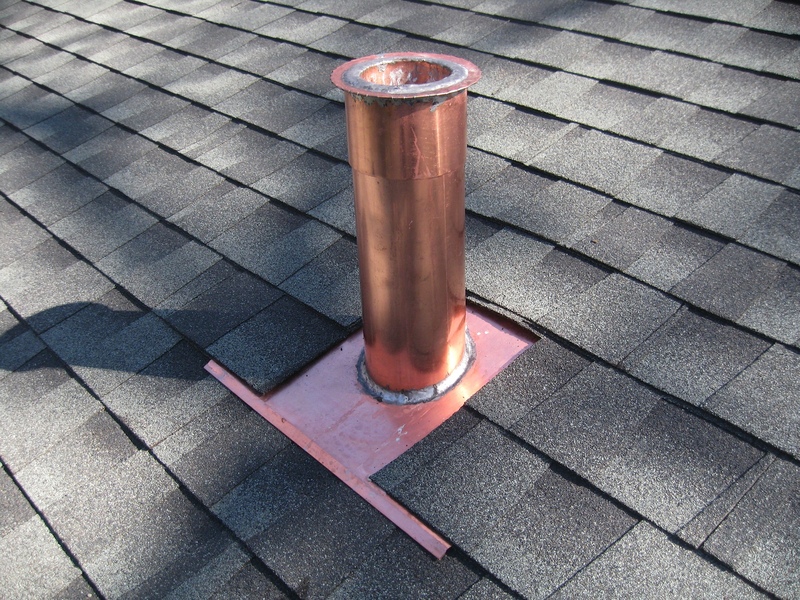 One installs copper flashing, as opposed to aluminum or steel flashing, because it is more durable. For those concerned about aesthetics, copper flashing takes on a dark, greenish patina when exposed to air that some find attractive. 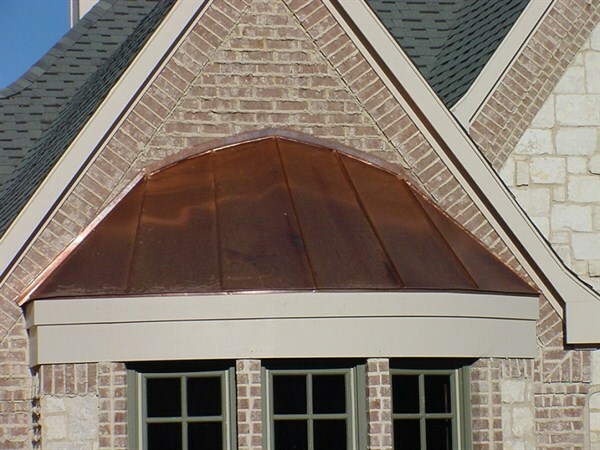 We do all types of copper work from bay windows, arches, gutters, flashing, and downspouts. We use copper because it is a durable material and works the best. Whether you have copper work that you want done on your home or business or your replacing your roof or in new construction our staff members will come out and do the work with the highest precision and beauty.